From "Gladiator," the Oscar-winning, epic movie by the director Ridley Scott. 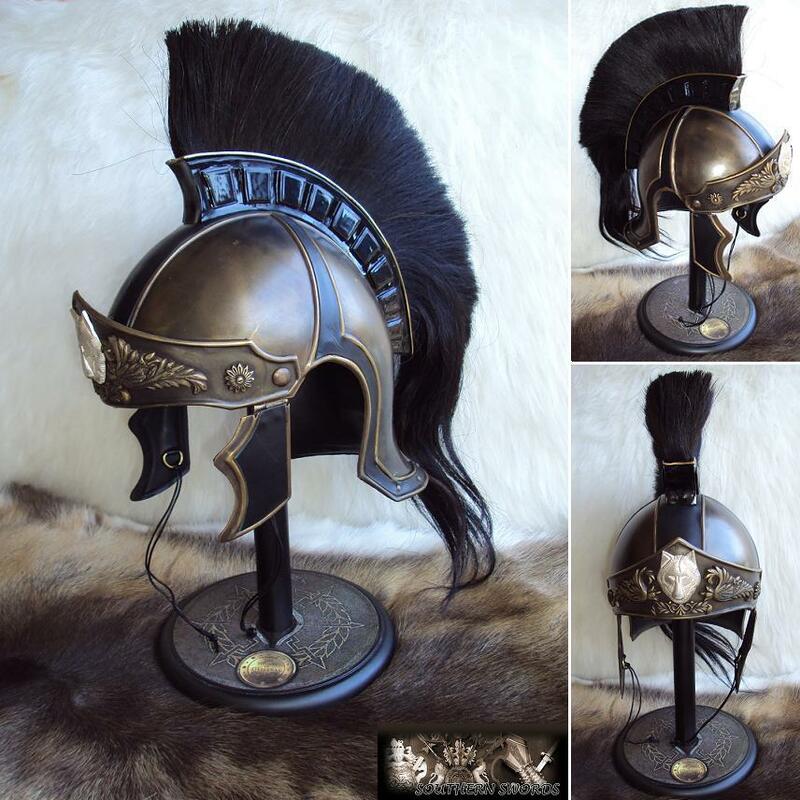 The original licensed General Maximus helmet. In the movie, Maximus Decimus Meridius (Russell Crowe) wore this helmet before he became a gladiator. 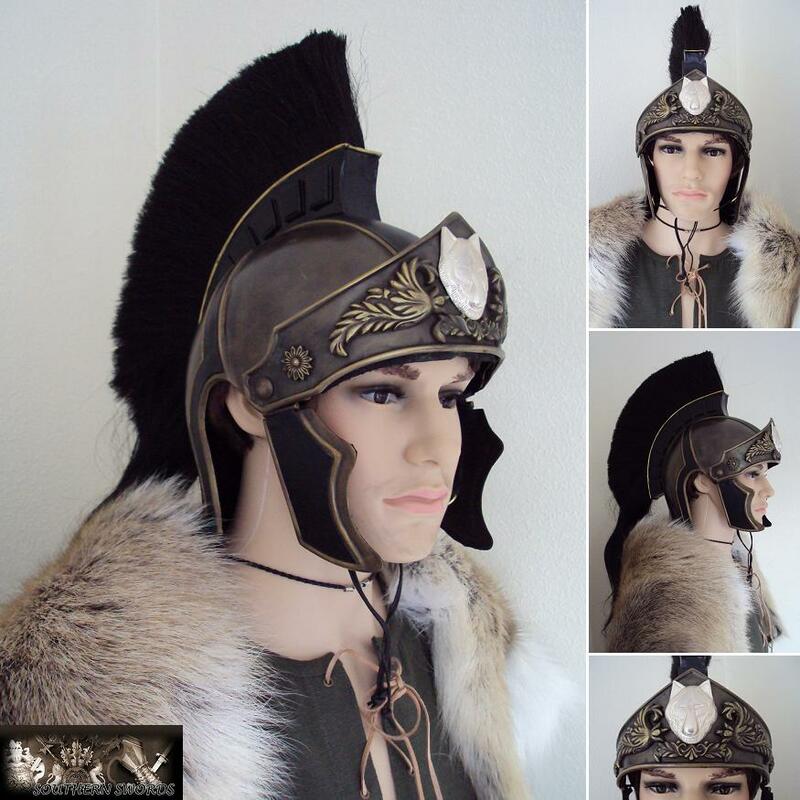 The Gladiator General Maximus helmet is typical of a helmet from Ancient Rome – and Ancient Greece as well. Handcrafted of steel, plated with brass and given an antique finish, the impressive helmet features a crest made of black horse hair. Black leather creates handsome accents on the scull and cheek pieces and the ornament on the helmet's forehead includes a silver-colored wolf head in low relief. This original, licensed Gladiator General Maximus helmet is lined with leather on the inside and features a fabric liner. You can adjust the liner for a perfect fit and add to your wearing comfort. It comes with an attractive helmet stand so you can show it off at home when you're not showing it off in the arena or the amphitheater.